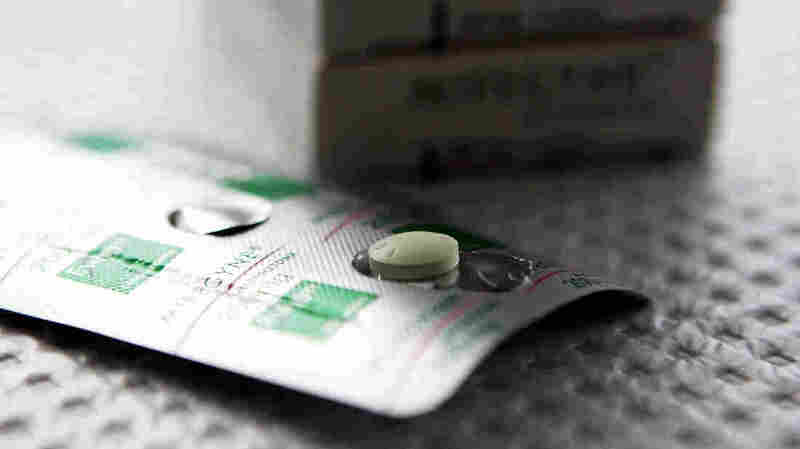 Abortion Pills: California Senate Bill Requires On-Campus Access : Shots - Health News As restrictions on medication abortion mount in other states, legislation that would require health centers at California public universities to stock abortion pills is moving ahead. If a bill in the California Legislature become law, campus health centers at public universities would be required to provide abortion pills. In California, the state Senate is considering legislation that would ensure that students at four-year public universities in California have access on campus to medication for abortions. Sen. Connie Leyva introduced the bill, SB 320, in February 2017. It would require all health centers within the University of California and California State University systems to stock the drugs prescribed for medication abortion and ready their campus health clinics to provide them by 2022. Medication abortion involves two drugs, mifepristone and misoprostol, that a woman can take at a clinic or at home to terminate pregnancies less than 10 weeks along. The campaign for the bill began at University of California, Berkeley in 2016, when the student government passed a resolution urging the health center there to include medication abortion in its services. Adiba Khan, co-founder of Students United for Reproductive Justice and the author of the resolution, noticed that the student health service offered 18 forms of contraception, but not abortion. She was also influenced by fellow students' experiences. "I was able to meet a few peers who attempted to get an abortion through the student health center, and they faced a lot of hurdles, mostly bureaucratic, before they were able to get an abortion," Khan says. Members of the group met with the health center administration as well as university leaders to try to make medication abortion available at Berkeley's health center, but it didn't happen. "When they were denied, they brought the issue to us, and I thought that this was something that young women should have access to, because it is their constitutional right," says Leyva. The Women's Foundation of California Women's Policy Institute stepped in to help draft the legislation. The bill is moving ahead in the California Legislature even as other states have taken steps to limit access to medication abortion. The Oklahoma Legislature passed a bill that was signed into law in 2014 that set a strict protocol for the drugs involved in medication abortion; it was initially overturned in the state courts, then upheld and was overturned again in 2017. In Louisiana, a law requiring that all aborted tissue be buried or cremated — an impossible task in the case of medication abortion — is currently suspended as the state court tries it. And as of last fall, the Missouri health department requires any facilities providing medication abortion to contract with an OB-GYN who can be on call around the clock to personally handle any complications. Opponents of the bill in California are unsure that public university health centers should provide medication abortions. Anna Arend, the Northern California Regional Coordinator for Students for Life of America, testified during the Senate education committee hearing on behalf of student groups across California that oppose the bill. "These students have formed a coalition to oppose SB 320 due to the horrible realities of RU 486, the abortion by medication technique, and the dangers that it would bring to their campus. And the simple fact that abortion pills are not a factor in student success," Arend said. California is alone in considering a measure like this, but the legislative push is in line with the state's previous policies, says Elizabeth Nash, a senior state issues analyst at the Guttmacher Institute. The state also requires all health insurers to provide abortion coverage and sets no waiting period for abortion procedures. The California Senate committees on health, education and appropriations committee have each approved the bill. Next, the bill will move to the Senate floor for a vote, which is expected by the end of January. As for funding the abortion services, SB 320 doesn't specify the use of any state or university money. A private consortium that includes the Women's Foundation of California, Tara Health Foundation and a private donor has agreed to pay for implementation. The estimated cost is about $14 million, says Dr. Ruth Shaber, president of Tara Health Foundation. That figure "includes the training, any type of new equipment that's necessary, and training in the processes, billing for the procedure, and making sure that the clinics are really prepared to implement the procedure and to offer the care well," she says. Campus health clinics currently provide reproductive health care like testing for sexually transmitted diseases and contraceptives. The risk of complications from medication abortion is low. A University of California, San Francisco study of more than 50,000 abortions provided between 2009 and 2010 found that 0.31 percent of medicated abortions resulted in major complications. Still, the transition to providing the abortion procedure at campus health clinics may give some people pause. "You can say, well, look at the percentages, but if they're happening to you, it's not a fun thing in medicine for you and your patient," says Dr. Richard Boucher, who directs student Health Services at California State University Fullerton. Boucher also cited the issue of whether individual providers would feel comfortable administering the procedure, an issue that is in the spotlight now. On Jan. 18, the federal Department of Health and Human Services announced the creation of a Conscience and Religious Freedom Division that would offer protection to medical providers who refuse to participate in certain services, like abortion, on religious or moral grounds. Even if the California Senate votes in favor of the bill, it has a ways to go before becoming law. The legislation would have to be passed by the state Assembly and be signed by the governor.